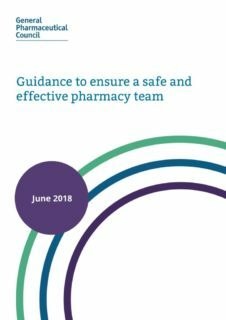 The GPhC consulted from 20 July to 11 October 2017 on proposed guidance for pharmacy owners on creating suitable working environments which enable pharmacy staff to operate safely and effectively. The PDA responded to the consultation, expressing its concerns. 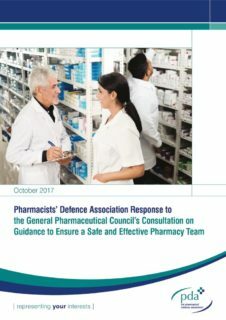 The GPhC consulted from 20 July to 11 October 2017 on proposed guidance for pharmacy owners on creating suitable working environments which enable pharmacy staff to operate safely and effectively. It is also proposing to cease setting training requirements and assessing and approving training courses for dispensing and medicines counter assistants. It plans instead to provide guidance for employers on what that training might involve. The PDA is concerned that this is another misstep by the GPhC in its role protecting the public. The GPhC has not only failed to ensure its expectations are enforceable, but has sent a message that it seemingly regards the matters covered in the guidance – which include expectations in relation to staffing levels, protected time for training and raising concerns – as being of insufficient importance to do so. We envisage that the proposed changes to training requirements, if enacted, would lead to a chaotic and inconsistent approach throughout Great Britain as to the quality of training that unregistered support staff have and the transferability of their roles from one pharmacy to another. The PDA’s consultation response can be downloaded below.